If you’ve ever run out into the freezing cold, then you can relate to the look at Tadashi Shoji Fall 2013. It was all about dashing through the tundra, but it was still surprisingly gorgeous. If only everyone can look as pretty as a model does when she’s stuck in the cold. 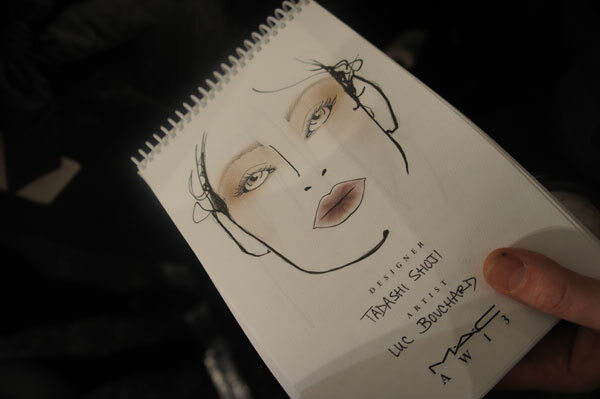 For the makeup, Luc Bouchard for Mac Cosmetics created a neutral eye, dazzled with a thin, silver eyeliner on the top lash line, in the corner and half way through the bottom lash line. He then applied a generous coat of False Lashes Mascara. There was barely any foundation or product on the skin, but the lips got a hefty dose of brownish-purple color. Luc applied Cyber Lipstick all over the lip and blended a dark brown lip liner on top. He used his finger to soften it and bring the purplish color out. He wanted the lip to look “unhealthy, as if it was stung by the cold.” “Little girls running out of Russia, through the tundra” inspired the look. The hair, created by Rodney Cutler, had a wind blown feel to it. There were plenty of flyaway hairs and frizz. 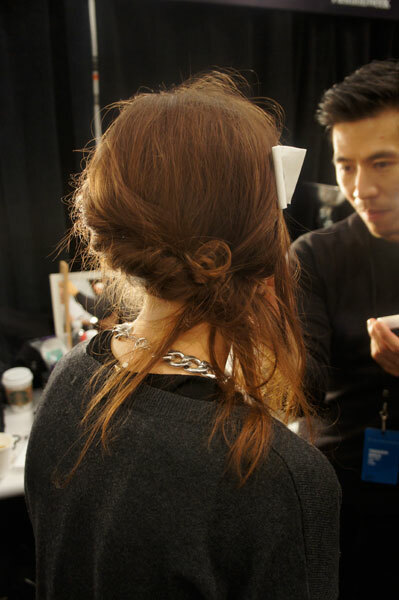 He created texture using Redken Guts 10 and even added a braid underneath the hair to “eliminate some of the hair weight.” “It changes the head shape, too,” he added. Then, he parted the hair to the side and twisted it all up from left to right all the way into a ponytail. He pinned it near the ear. Over in nails, Joy Johnson for China Glaze complemented the silver eyeliner with a snow-white manicure. 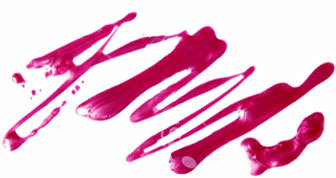 She applied two thin coats of China Glaze Dandy Lyin’ Around, new for Spring 2013 (out March). The key to getting a streak-free, white mani? Applying very thin coats! “People make the mistake of putting it on thick thinking that it wont be streaky but then it peels off because it’s too thick,” said Joy.